It's not everyday I buy a pair of $14.99 Hannah Montana Super Stellar Scooter Gloves. As a matter of fact, there is NEVER a day that I do that. Sophie is just loving these to pieces! 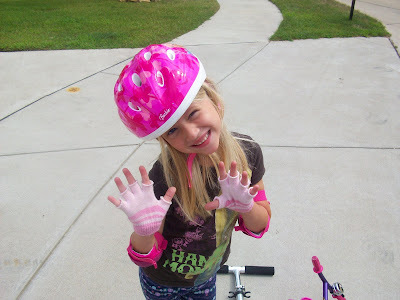 After seeing some super cute Hannah fingerless gloves at Toys 'R Us one night when we were buying Mia's new scooter helmet, I thought to myself, how about we make some of these ourselves! 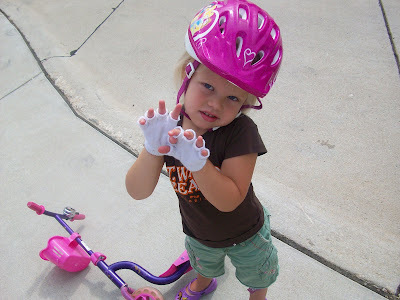 Sophie showing her SCOOTER gloves off. It looks like she's doing a cat claw... grrrrr. 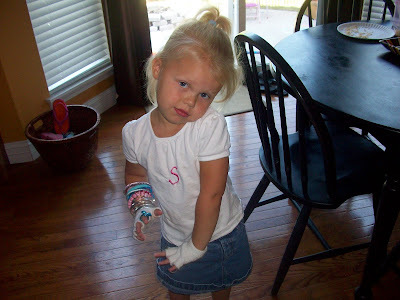 Mia loving her STELLAR scooter gloves courtesy of Mr. Scissors. 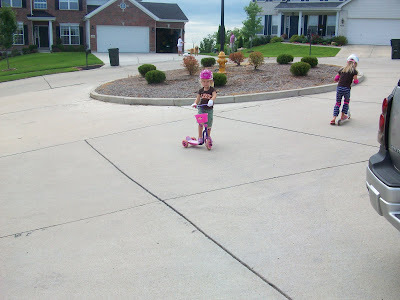 Trying them out around our cul-de-sac. Sophie is ready to roll. 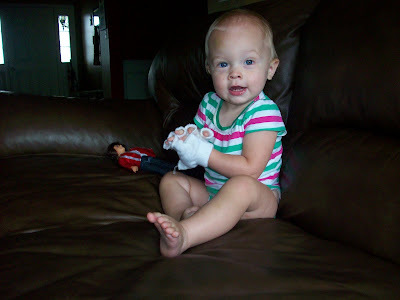 Guess who also LOVED these gloves? She wore them for an hour while chillin' with Troy from High School Musical. 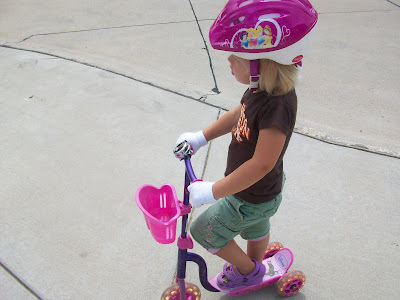 To make these for your Scooting Girls or Boys, just cut the tips off of some old (preferably stained) cotton gloves and you are ready to roll. Why spend $14.99 when you can go grab a pair out of the SNOW gear and make some cute STELLAR SCOOTER GLOVES today?! Super cute!! 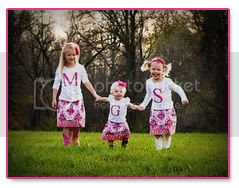 And way cuter than Hannah Montana's could ever be! 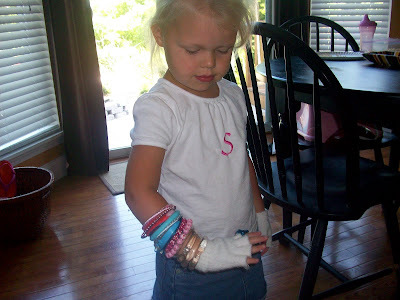 Far cuter than any Hannah Montana gloves!! This is so cute. I love it. 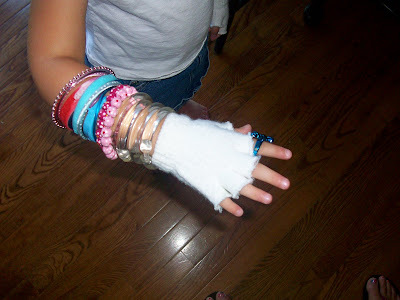 Maybe I should try making a pair of these stellar gloves for my niece too. Thanks for the idea.